Enterprise networks grow larger and more complex every day - and more critical to key business operations. Barracuda CloudGen Firewall F-Series Vx is an essential tool to optimize the performance, security, and availability of today's dispersed enterprise WANs. Barracuda CloudGen Firewall F-Series Vx is designed and built from the ground up to provide comprehensive, nextgeneration firewall capabilities. Based on application visibility, user-identity awareness, intrusion prevention, and centralized management, the CloudGen Firewall F-Series Vx is the ideal solution for today's dynamic enterprises as it is fully compatible with VMware, XenServer, KVM, and Hyper-V virtualization. Barracuda CloudGen Firewall F-Series Vx meets the enterprise requirements for massive scalability and efficient management across dispersed networks. Integrated WAN optimization and centralized management enable organizations to increase system availability while keeping administrative time and operation costs low. As organizations turn to virtualization as a way to save money, simplify deployments and reduce their environmental footprint, Barracuda Networks is offering virtual appliance versions of the Barracuda Spam & Virus Firewall and Barracuda SSL VPN with additional solutions to follow. Virtual appliances enable enterprises to harness the same powerful security and networking technologies available in the Barracuda Networks range of hardware based solutions. 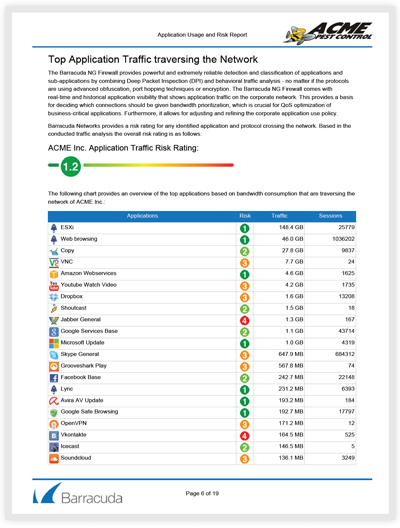 Barracuda Networks virtual appliances are an ideal choice for enterprises that are standardizing hardware platforms or with existing virtual environments like VMware. As the organization grows, these appliances can be easily scaled for performance and capacity and also lend themselves to quicker backup and disaster recovery. The virtual appliances combined with industry leading storage, security and networking hardware appliances from Barracuda Networks provide flexible deployment options to meet the unique needs of small, medium and large enterprises. More than a firewall, the Barracuda CloudGen Firewall Vx delivers the power of a network security gateway. This virtual solution replaces several essential network security and networking infrastructure components - cutting costs while streamlining architecture and management. By combining advanced perimeter and application security with advanced LAN and WAN management tools, the Barracuda CloudGen Firewall Vx provides a simplified, unified framework for managing total connectivity and security. 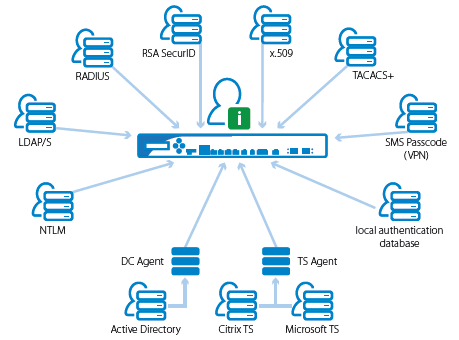 Integrated with LDAP and Active Directory, the Barracuda CloudGen Firewall lets administrators create granular user-based policies across security, application and connectivity services with unrivaled ease and power. The Barracuda CloudGen Firewall Control Center provides centralized, real-time monitoring of all the firewalls across the enterprise. Integrating application and user awareness with an advanced network firewall, the Barracuda CloudGen Firewall Vx protects network layers 2 - 7. Deep packet inspection and behavioral analysis accurately detect threats and activity from over 800 applications and protocols. It also provides IPS, antivirus, antispam, NAC, DoS protection and web filtering for layered protection. The Barracuda CloudGen Firewall Vx intelligently manages network links while also providing site-to-site VPNs and an SSL VPN for secure remote access. Its built in WAN optimization and uplink optimization capabilities prioritize important traffic while substantially reducing line cost. The Barracuda NextGen Control Center delivers instant information on system and security activity while keeping security and networking features quickly accessible. 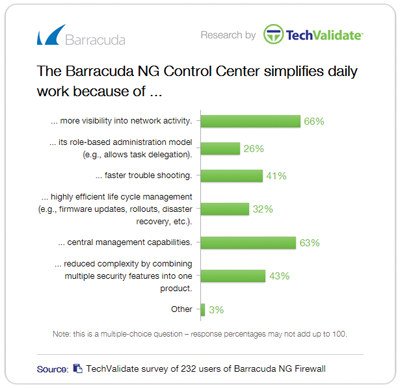 At a higher level, the Barracuda NextGen Control Center extends consistent policies and visibility of Barracuda CloudGen Firewall Vx's across the enterprise. 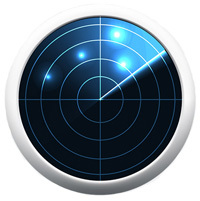 With the NG Earth and the graphic tunnel editor GUIs, managing connectivity has never been more straightforward. Easy to remotely download and install in hosts around the world, Barracuda CloudGen Firewall Vx is fast and easy to deploy. 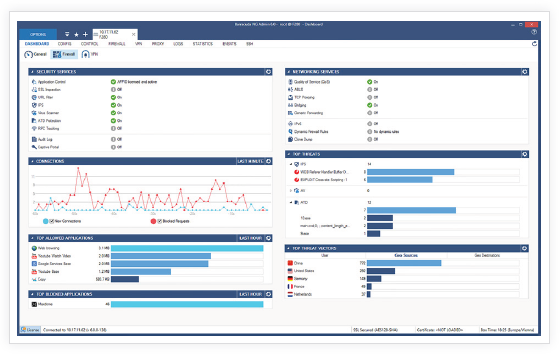 The intuitive UI puts system information and powerful tools for LAN and WAN management as well as security at administrators' fingertips. Energize Updates automatically keep security subscriptions like IPS and web filter up to date. The Barracuda CloudGen Firewall Vx cuts costs several ways: It replaces several infrastructure components with one virtual appliance. 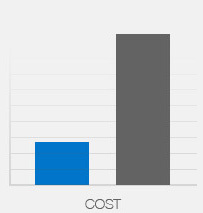 Easy to manage, it keeps admin costs low. It lowers bandwidth costs by limiting bandwidth intense applications while using link aggregation with traffic shaping to further reduces bandwidth costs. 1 The Barracuda CloudGen Firewall F-Series Vx virtual image covers all editions. 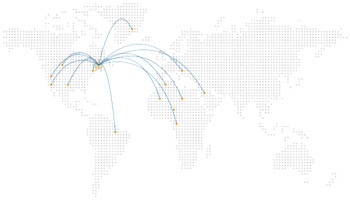 3 Barracuda CloudGen Firewall F-Series Vx editions include as many VPN licenses as the number of protected IPs. 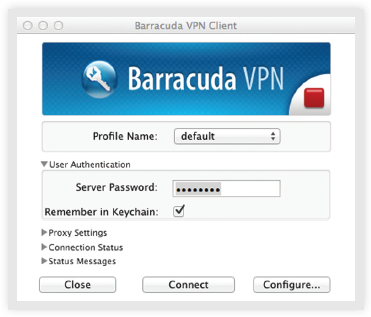 VPN clients with an active connection to the Barracuda CloudGen Firewall F-Series Vx are counted towards the protected IP limits. 5 Requires Malware Protection subscription. The Barracuda CloudGen Firewall Vx offers comprehensive protection of distributed networks through a combination of hardware and virtual appliances at each office location and comprehensive VPN access options for remote users. Barracuda CloudGen Firewall Vx are available for locations of all sizes, ranging from the very small remote location to the headquarters or even data center. 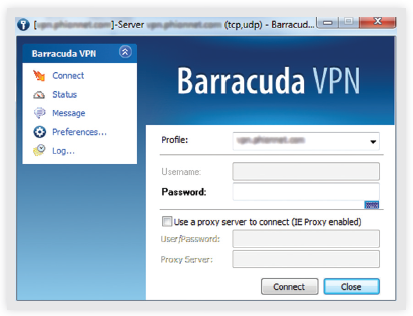 For on the go users, the Barracuda NG Network Access Clients provide secure and convenient VPN access to the network. 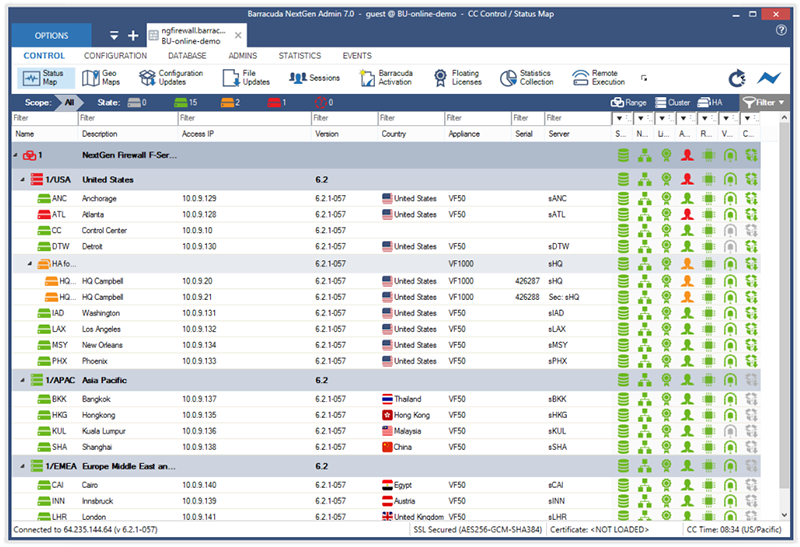 For internet kiosks or home computers where client software deployment is not appropriate, the Barracuda NG SSL VPN & NAC option provides secure access to vital network resources from any Web browser. 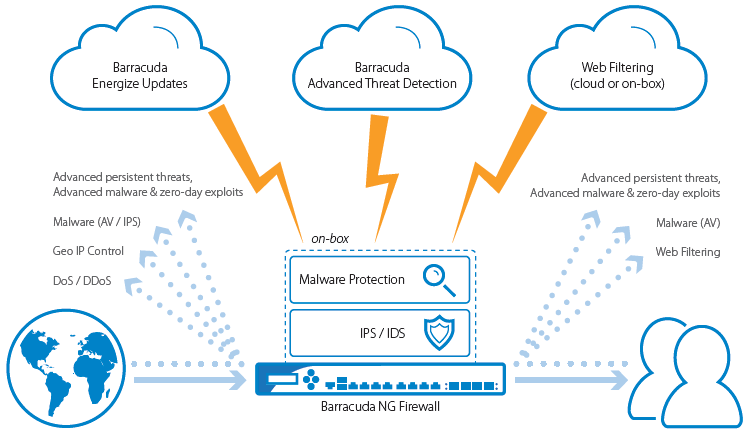 Barracuda Malware Protection shields the internal network from malicious content by scanning web content (HTTP and HTTPs), email (SMTP, POP3), and file transfers (FTP) via two fully integrated antivirus engines. Malware protection is based on regular signature updates as well as advanced heuristics to detect malware or other potentially unwanted programs even before signatures are available. Barracuda Malware Protection covers viruses, worms, trojans, malicious java applets, and programs using known exploits on PDF, pictures and office documents, macro viruses, and many more, even when using stealth or morphing techniques for obfuscation. A 30-day evaluation copy of any Barracuda Virtual Appliance can be obtained by filling the evaluation request form online. This will generate an email with download and activation instructions.